Our most affordable and popular timing chip is lightweight and as the name says, loops through the trainer's laces. The loop itself is a virtually indestructible Tyvek® strip and the ends stick together with a strong 3M® adhesive. The chip itself is incorporated into the Tyvek® strip and registers when it passes over the race mats located around the course. A timing solution that is growing in popularity is the 'chip on bib' system. Although this comes at a slightly higher cost than the loop tag it does offer some very important benefits. For the organiser the bib and chip come as one item so as long as the runner puts the bib on they don't need to worry about the chip. 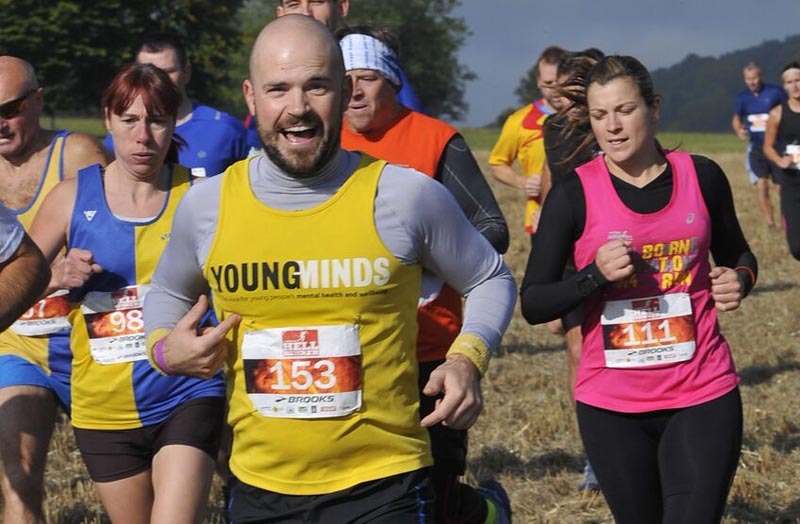 Because we generally supply organisers with the bib as well the organiser gets a great price on the bib numbers as part of the deal but we can attach the chips to bib numbers from another supplier subject to certain constraints. Introducing this helmet chip to clients several years ago completely changed how we time cycling events. The lightweight chip sticks to the rider's helmet and does not come off until the rider removes it after they have finished the event. The chip registers when it passes an antenna mounted at the side of the road. The beauty of this system is safety and reliability, with no mats to ride over the rider has absolutely no contact with the timing system at any point. 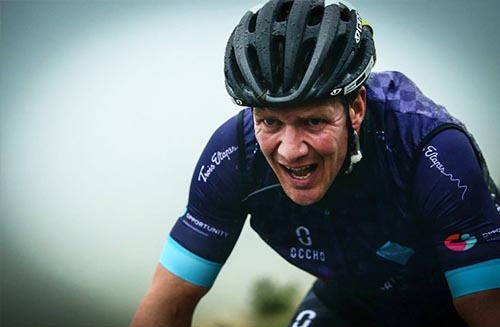 And, subject to a mobile internet connection, we can locate timing points anywhere on the route to give intermediate splits, hill climbs or sprints. The constantly varying conditions of a multisport race mean that it requires a timing chip attached to the athlete rather than to a shoe or a helmet. Our standard multisport chip is fully waterproof and is attached to the athlete's ankle by a soft neoprene and Velcro® strap. As long as there is a data connection available, we'll upload race data live to the web. These results can also be embedded into your website using a simple 'iframe', and also viewed directly on any smartphone. We can text the results directly to a competitor via SMS, from the finish line or an intermediate split point. Our service allows multiple phone numbers to be associated with an athlete so times can be sent to family and friends as well. For long distance events such as iron-distance triathlons, marathons and ultra runs, we can provide predictive tracking. Linked to an online map, it uses predictive speeds to show a competitor's location on the course and even updates the predictions every time a timing point is reached. After the event is over, your competitors can visit our website to see the full results, with each athlete having a linked statistics page showing split times, pace, speed, VO2 and more. And you can share all of this with your friends on social media. 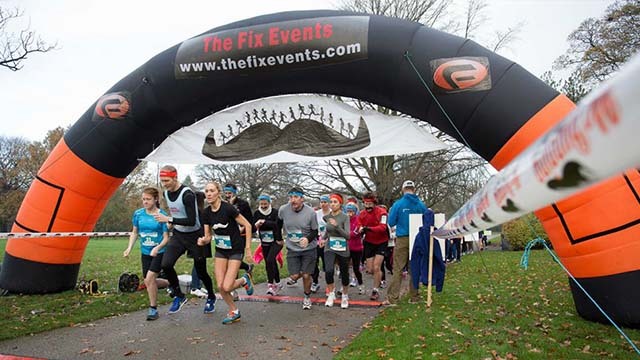 We can supply race arches including inflatables and self-supporting metal arches. Coming in various sizes and colours, they really help to add presence to a finish line, race start or even a remote split point. Nothing creates a better atmosphere at an event than having some music or a commentator, or both. Adding a PA system gives you the chance to communicate with your competitors, do a warm-up, tell the spectators who is finishing or just play some music. Our PA systems all come ready with MP3 player inputs and high quality wireless microphones – our event crew will set it all up for you. 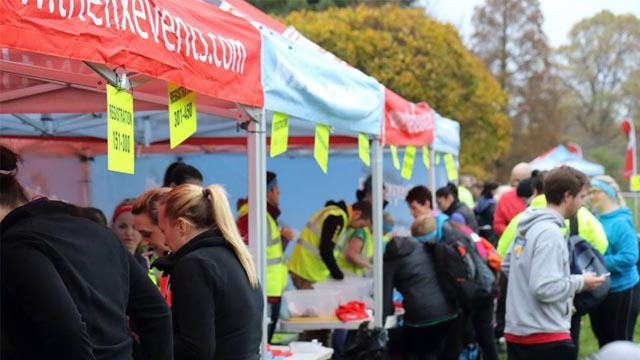 Our efficient event registration system links directly with the timing system, which enables you to deal with late entries, event changes and other updates and know that these will all be instantly incorporated in the results. 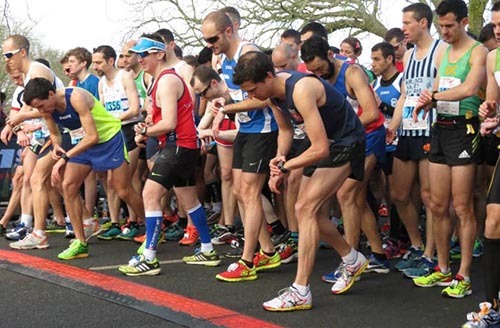 Depending on your event location or the volume of athletes in your race there may be a requirement for a wider start than our standard 4metres. 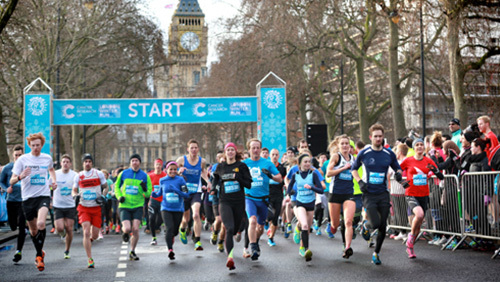 We can provide timing lines up to 10metres wide to accommodate any volume of runners. Adding a commentator system can transform your event. We provide an extra timing system which is located up to 100metres before the finish and link it to a commentator display on a tablet device. When a participant passes this extra timing point information comes up on the tablet telling the commentator who is about to finish, their time, club and, if the information has been provided, the reason they are running. Once your competitor has crossed the finish line we can immediately provide them with a printout of their times to take home. This will show the event name, optional sponsor logos, and competitor details with their overall result, split times and so on. It is also possible to have a rolling display of finishers and race leaders shown on a large screen and we can even set up message screens where runners can get personal messages displayed to encourage them. Whether you need timing for a running, cycling, swimming, or multi-sport event, we have a solution that will suit your need. 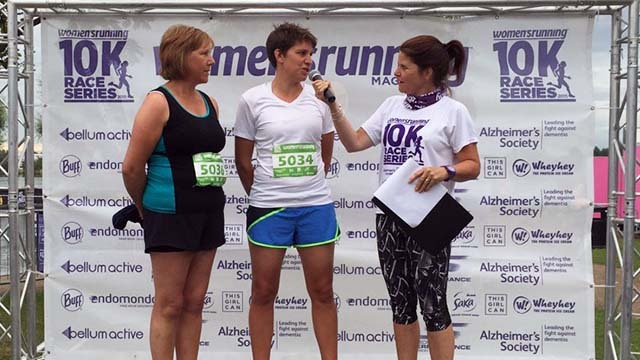 Our clients vary from first time events that need help throughout the process to seasoned organisers putting on races with 15,000+ competitors. Our state-of-the-art Black Box is a custom-designed RFID timing system that can be tailored to suit your sport. 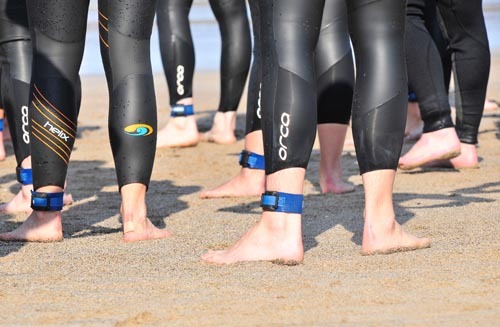 We can even mix tags during an event for optimum results; for example, in a multisport event the cycle laps can be recorded off a helmet tag whilst the main timing is done using ankle tags. The timing systems can be connected directly or can be used at remote split points, sending data wirelessly back to your race headquarters. This means you can have live data all the way through your event, giving you immediate online results. Results Base offer a comprehensive online entry system for our customers. 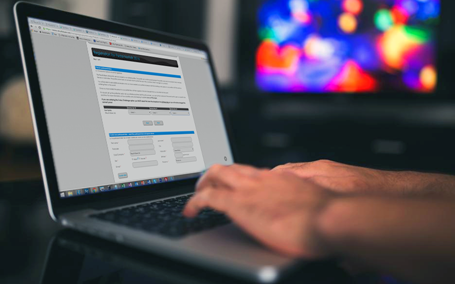 Handling tens of thousands of entries a month, we believe our custom-designed entry system offers the best set of features and services available on the market. We've designed our system from the ground up, in order to be as versatile, configurable and user friendly as possible. Our competitive pricing makes this a first class service offering for your race or event. And, because it is our system and not some generic shopping cart, we can customise and tailor it to meet your needs if required. We offer so much more than just a timing service. Results Base offers you a complete race day solution, offering the equipment and accessories to give your event a professional look and feel. 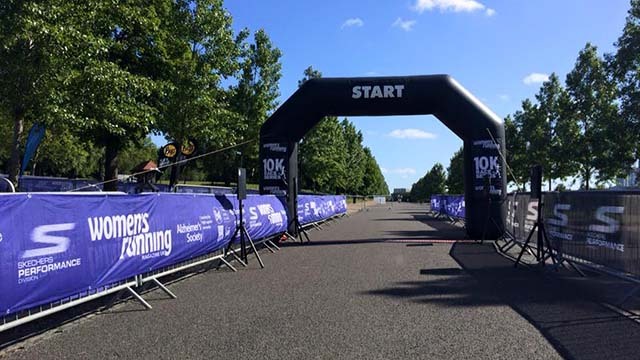 We can supply inflatable and self-supporting metal race arches. We can supply professional PA and commentator systems. A fully-managed registration process that can link straight to the timing system. We can provide timing points for runs up to 10metres wide. 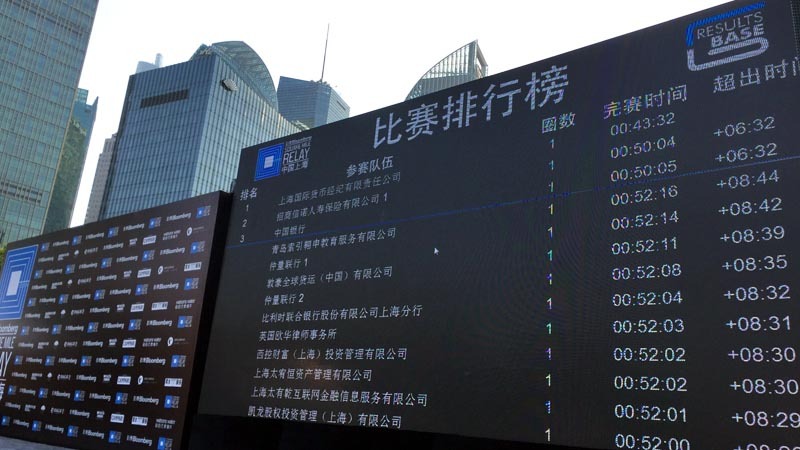 When a timing point is passed, the competitor info is relayed to the commentator. We can provide instant printed or on-screen results.